Roses are red, violets are blue – let our downtown merchants make Valentine’s Day easier for you! Listed below are ideas from downtown businesses, from unique gifts to pampering to sweet treats and romantic meals. 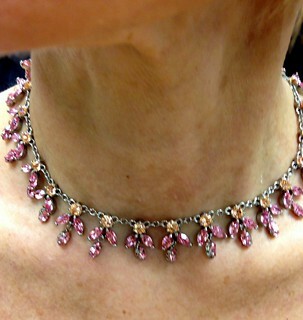 Golden Touch Jewelers has a number of beautiful jewelry pieces for your loved one, including this stunning necklace. 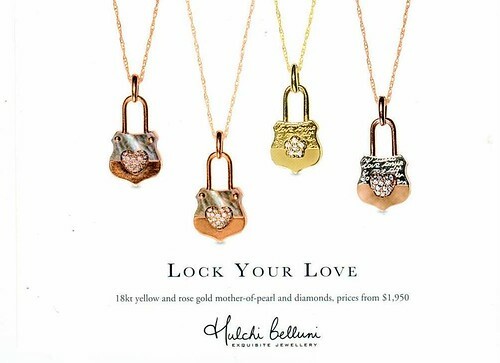 “Lock Your Love” with one of these pieces from designer Helchi Belluni, available at Martin Jewelers. 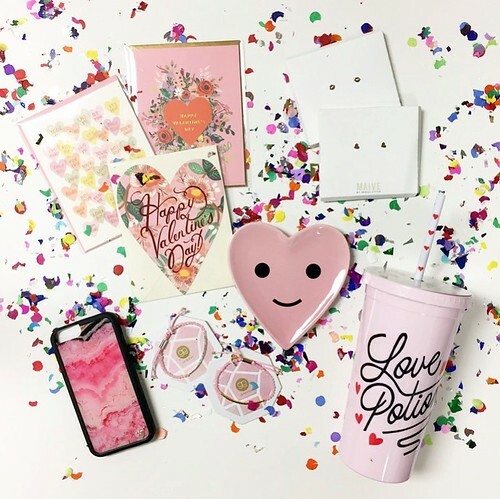 ANTHEM style + gift has cards, jewelry, smartphone cases, and more for your valentine. 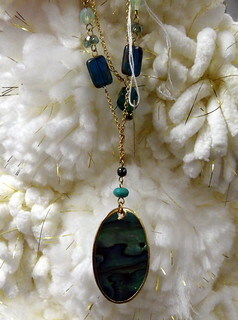 Belladonna’s has some stylish pieces of jewelry, perfect for your valentine. 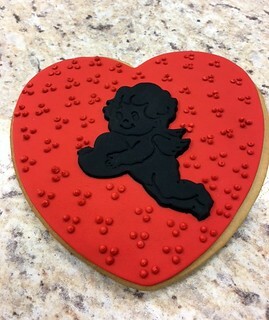 Just 4 Pooches reminds you: don’t forget your furry friend at Valentine’s Day! 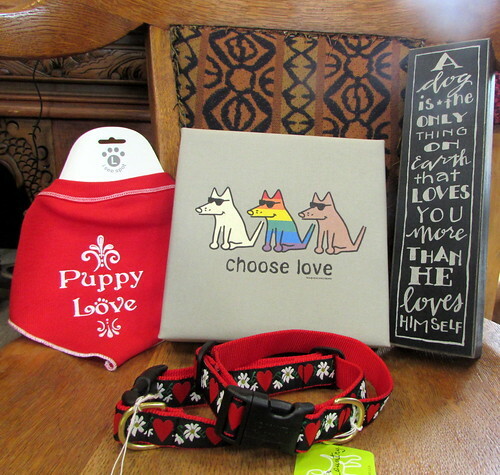 They have collars, bandanas, treats, and even some artwork for your walls. Smooch your pooch! Augusta Mae has so many ways to say “I love you,” including these colorful and stylish bracelets. Valentine’s themed pillows, made from pure New Zealand wool, can be yours from Periwinkle’s. Swimsuit Junction is offering 20% off LoLo accessories through February 18th, as well as 10% off other accessories. 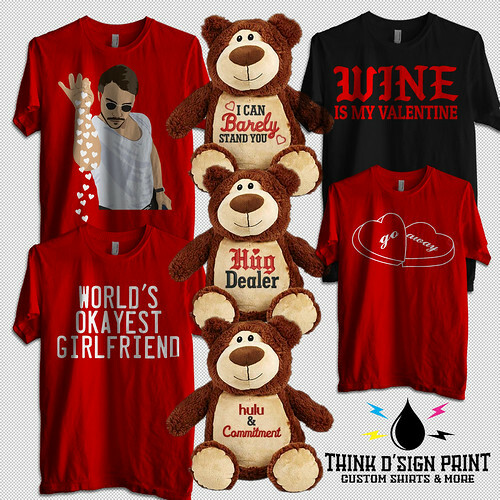 think d’sign print has adorable embroidered stuffed bears, as well as fun Valentine’s Day shirts. Check out their website or store for additional designs. 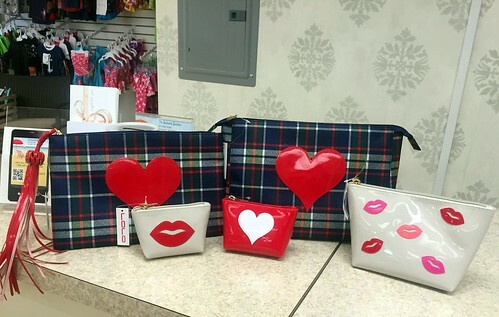 The Amber Feather has cute accessories, shoes, and clothing that are perfect for your Valentine’s day outfit. It’s also a great place to pick up a gift for your sweetheart. 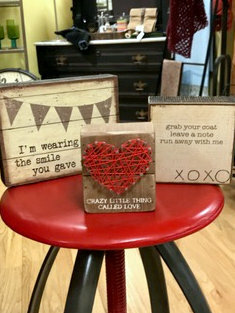 If you’re looking to decorate your home in the language of love, then a stop at Simply is in order. 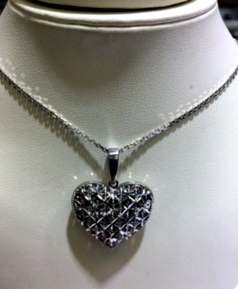 The store also has a unique selection of accessories, jewelry, and gifts. Fire Me Up! 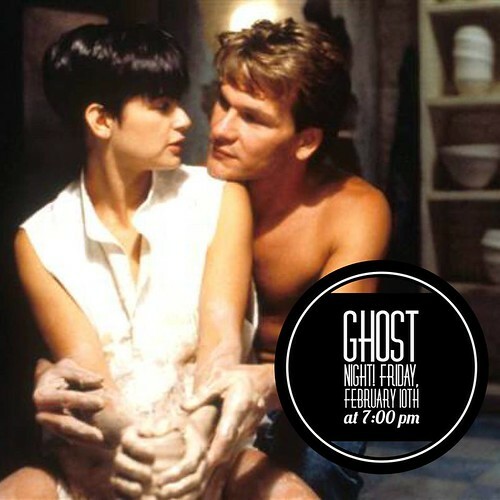 Studio will have a “Ghost Night” on February 10th, and also always has the option for customers to walk in and create their own homemade gifts. 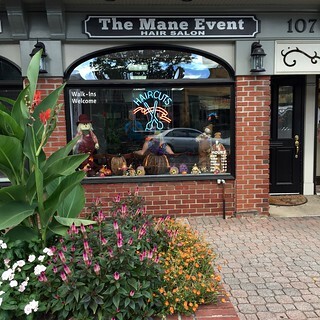 Show your Valentine you care and stop by The Mane Event Hair Salon and get a new cut, color, or style for your night out. For Valentine’s Day, Bella Organici has chocolate facials on sale for $89 and chocolate body wraps for $149. Gift certificates also always make the perfect gift. 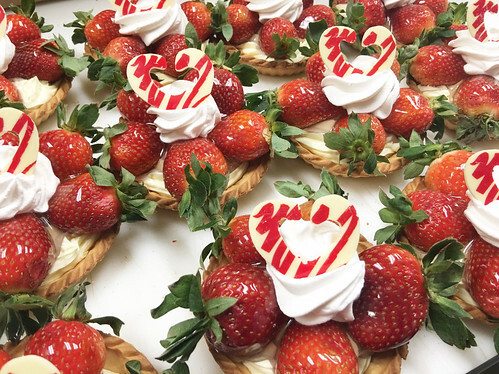 Don’t mind us, we’re just busy drooling over these strawberry tarts from Alfonso’s Pastry Shoppe. Cake Artist Cafe has decorated cookies, cookie pops, mini cookie packs…basically if you want cookies, they have you covered! 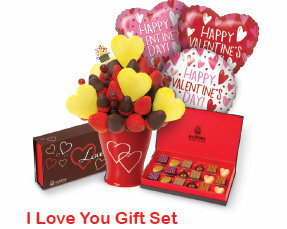 Edible Arrangements has exactly what you need to celebrate your special someone…. freshly-crafted fruit arrangements with pineapple hearts, including a new Edible Signature Chocolate Box created by Jacques Torres with six decadent flavors. 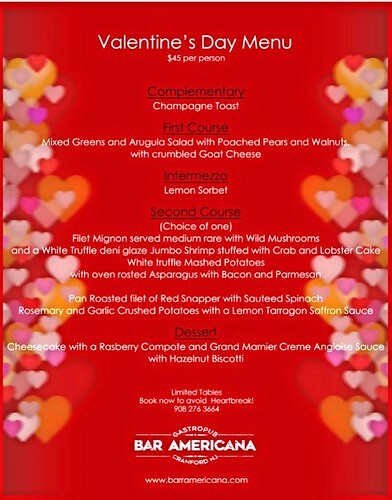 Bar Americana will have a special Valentine’s menu that includes a complementary champagne toast. Kilkenny House will be serving up their regular menu, as well a number of specials including Bone-In Ribeye, Coconut Shrimp, and Lobster Salad. Kilkenny House is the perfect place to bring your sweetheart, or the entire family. Or give one of their gift cards for a night out! 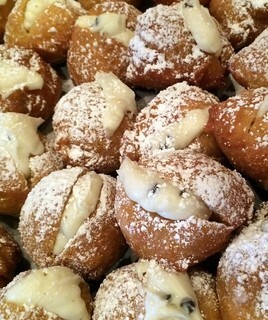 Vinny’s will be offering its regular menu plus some specials, including Braised Short Ribs over Wild Mushroom Risotto, Grilled Shrimp over Arugula salad with fresh Strawberries, and Zeppoles stuffed with Cannoli Cream. And of course, they’ll be cooking up their heart-shaped pizzas! Pairings will be offering a 4-course Valentine’s Day menu. Make a reservation now and you’re sure to have a night to remember. 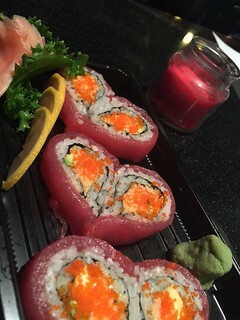 Mr. Bin’s Sushi & Grill has their Sweetheart Roll, perfect for Valentine’s Day or any day you’re dining out with your special someone. Tablespoon Cafe has a prix-fixe 4-course menu on tap. Le Petit Temptation is currently accepting reservations for their special menu. Lidia’s Cuban Kitchen is offering couples a free dessert when they dine there on Valentine’s Day. Make your reservation now! Don’t forget about all of our great restaurants and bars! From all of us at Downtown Cranford, have a wonderful Valentine’s Day and thank you for supporting our Downtown businesses!